We’ve been fans of Jason Ritter since he played the wheelchair bound Kevin Girardi on Joan of Arcadia. We loved him on The Class and were so sorry to see The Event come to a premature end. And while Parenthood ranks as one of our favorite shows of late, it is made all that much sweeter by Jason’s portrayal of the calm, down-to-earth Mark Cyr. And so despite the fact that we have no children of our own, we will been watching Gravity Falls, the new animated kids’ show on the Disney Channel. We recently got the chance to do an exclusive interview with Jason. And, yes, we restrained from gushing about his Joan days. Instead we talked about what drew him to the show, how he thinks it will go over with adults and what he’s most passionate about. 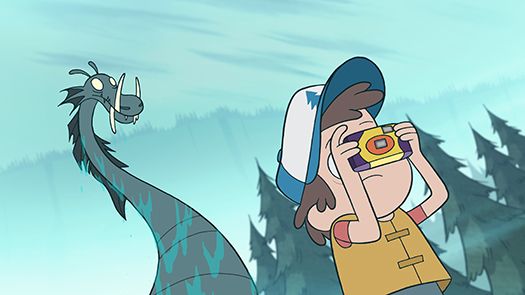 Tune in to Gravity Falls beginning Friday night june 29 at 9:30 p.m. EST/8:30 p.m. Central on the Disney Channel.